The catfish can float in the air on spontaneous bubbles, it seems. 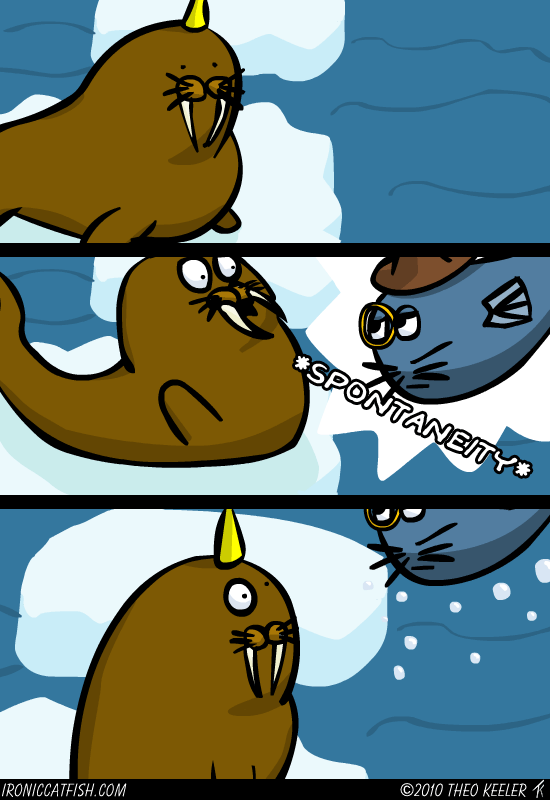 And the Spontaneity Walrus sure jumps high. SO! The new art. Do you like it? Hate it? Comment so a decision can be made!